Financial exclusion underpins so many of the challenges faced by the world’s poor, but we know that access to responsible finance strengthens the economic security of low-income families. Despite the growth of microfinance and banking services focused on those most vulnerable, many poor people around the world still lack access to the financial services which have been proven to reduce poverty, hunger and gender inequality. There are still 1.7 billion unbanked adults around the world, more than half of whom are women. Innovations in financial technology (fintech) are reshaping financial services and making financial inclusion more accessible and affordable than ever. 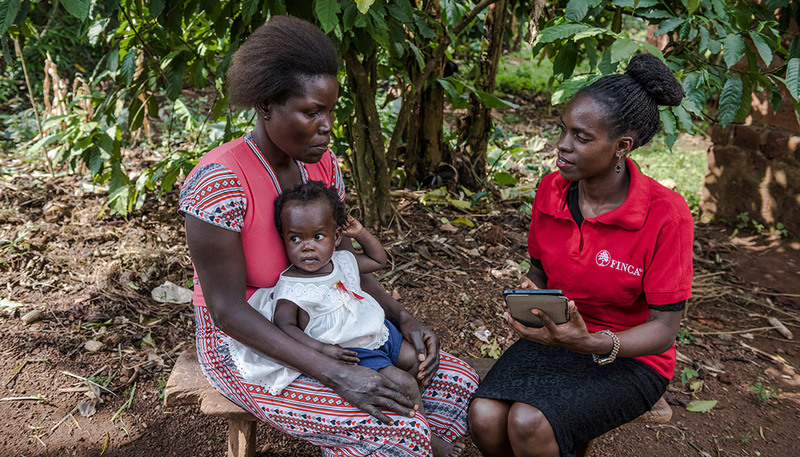 Microfinance institutions (MFIs) must quickly adopt and adapt to emerging technologies, such as new data analysis solutions that improve credit scoring, or digital delivery channels, like mobile phones, to deliver meaningful and sustainable solutions for low-income clients. But the rate of innovation and flow of new fintech entrants to the marketplace is overwhelming to even the world’s leading financial institutions. While many new fintech offerings have emerged to serve the client directly, there is a need for greater innovation in enterprise solutions that can support MFIs, which serve nearly 140 million customers globally. Such innovation can better enable MFIs to ride this digital wave and continue to be pillars of socially responsible finance. Any early-stage fintech solution, while highly promising, is likely not fully proven, requiring a different way of thinking about MFI-fintech engagements. MFIs need an efficient and focused way to evaluate new technologies and compare varied, new solutions that are transforming banking globally. Fintech start-ups must refine and test their value propositions with prospective customers (MFIs and end-users) and they need to attract investor capital for growth and scale. FINCA International, the founder of and majority shareholder in FINCA Impact Finance—a global network of 20 community-based MFIs and banks—sees a sector in need of a systematic way to investigate, test and onboard new collaborations between MFIs and fintechs to reach and serve more clients responsibly. This issue is central to FINCA’s mission because fintech innovations offer the possibility of achieving unprecedented financial inclusion at scale for the unbanked. Fintech innovations allow credit officers to use tablets for digital field automation, improved credit scoring and more. FINCA Forward is a two-year pilot funded by a grant from the United States Agency for International Development (USAID), through the Partnering to Accelerate Entrepreneurship (PACE) Initiative and Feed the Future (FTF). The purpose of FINCA Forward is to test the hypothesis that bringing early-stage fintechs and financial institutions together in a proof-of-concept (POC) environment can help small and growing businesses (SGBs) overcome the pioneer gap and enable MFIs and banks to affordably and systematically onboard emerging fintech innovations that will expand reach to underserved and underbanked populations. FINCA Forward, an innovation platform managed by FINCA International, provides fintech SGBs the opportunity to run POCs with FINCA Impact Finance, one of the largest financial services networks of its kind. By being able to rapidly test and refine their products with MFI customers, SGBs can validate their product and demonstrate the MFI customer traction that is critical to engaging investors for SGB growth and scale. SGBs with successful POCs and strong business cases will be eligible for further investment from FINCA International through FINCA Ventures, an impact investing initiative that aims to accelerate the growth of social enterprises developing goods and services that align with FINCA’s charitable mission. SGBs will also receive wraparound business and investment readiness support in legal, finance, governance and human resources through FINCA Forward. Consideration of female-owned and female-led fintech SGBs in selection criteria. USAID, FINCA International and FINCA Impact Finance have a common interest in developing a unique platform that solves the pioneer gap for SGBs, unlocks the potential of innovation for socially responsible microfinance institutions and banks, and brings lessons in partnership and innovation to the social enterprise and development industry. FINCA Forward is actively looking for early-stage fintech companies that seek to make financial inclusion more accessible to at-risk populations—especially women, youth and the rural poor—by giving them an opportunity to work directly with socially responsible MFIs, like FINCA Impact Finance. Eligible fintech companies will have the opportunity to test and improve their products and services with MFI customers to boost the ability of MFIs to provide affordable, accessible financial services to the bottom of the pyramid (BOP). A donor, investor or developing country government official interested in catalyzing support to the platform to expand financial inclusion.